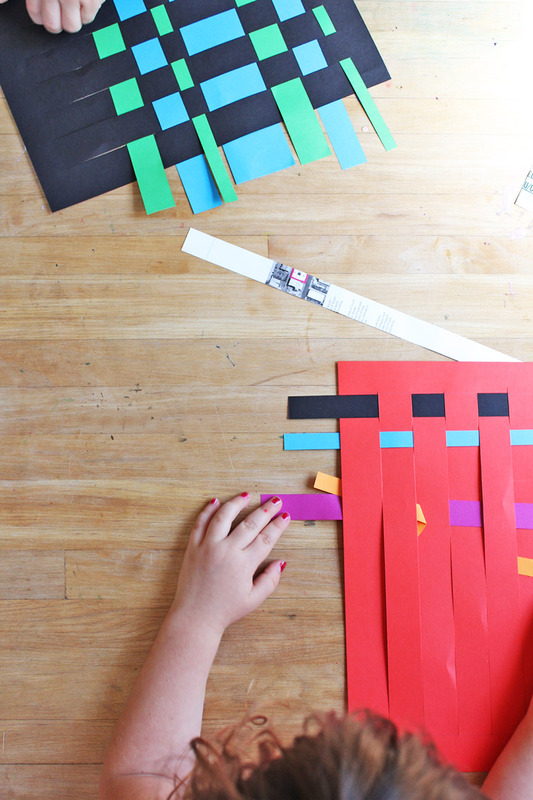 I love classic paper crafts for kids like today’s project: Paper Weaving. 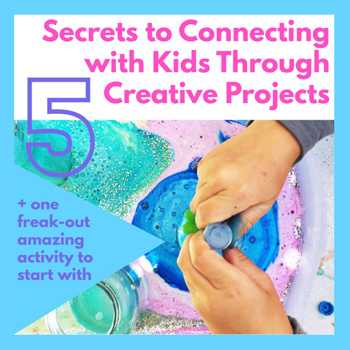 I’m certain we all did this at some point as a child and for good reason, it’s a great fine motor skills activity for younger children and a beautiful design and art project for older children. It’s is also a great introduction to the art of weaving and knitting, more projects of which are to come this year on Babble Dabble Do when we explore fabrics in December! In true Babble Dabble Do form, we couldn’t just do paper weaving, we had to mix it up a little! 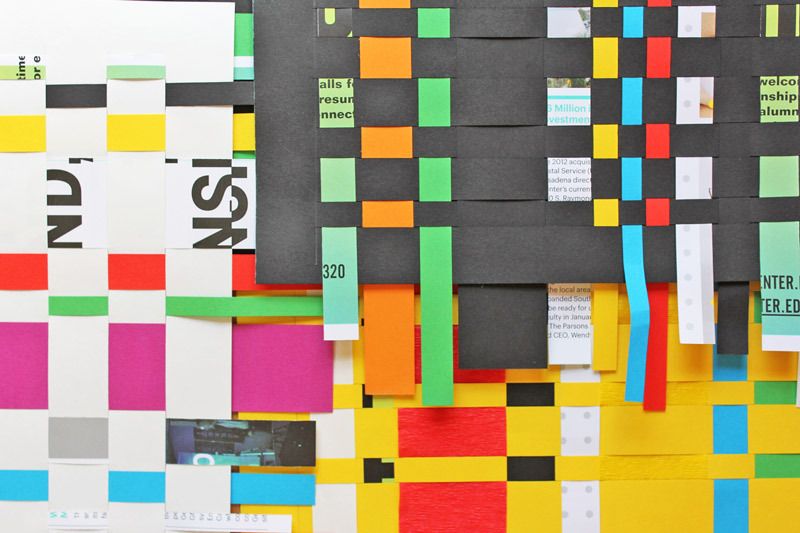 We tried basic paper weaving with bold colored paper and some catalog pages recycled from a design mailer. Then we tried more random slots for a varied texture, and lastly we curved it up! 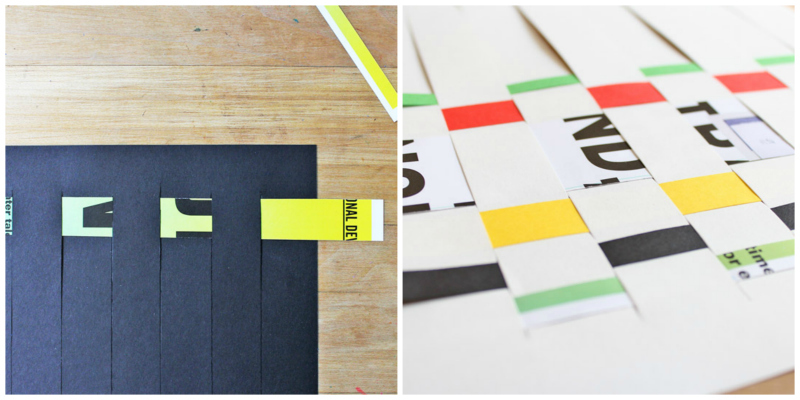 The Cutting Templates we used are included in this tutorial for your use! The results are as beautiful as I imagined they’d be! Step One Adults should prepare the base/template by cutting slots with an Exacto knife in the paper base according to one of our templates. Be sure to stop cutting 1” from the top and bottom of the paper. Step Two Cut paper strips that are at a minimum the width of the paper base. I recommend longer strips and trimming them later. Step Three Time for the kids! 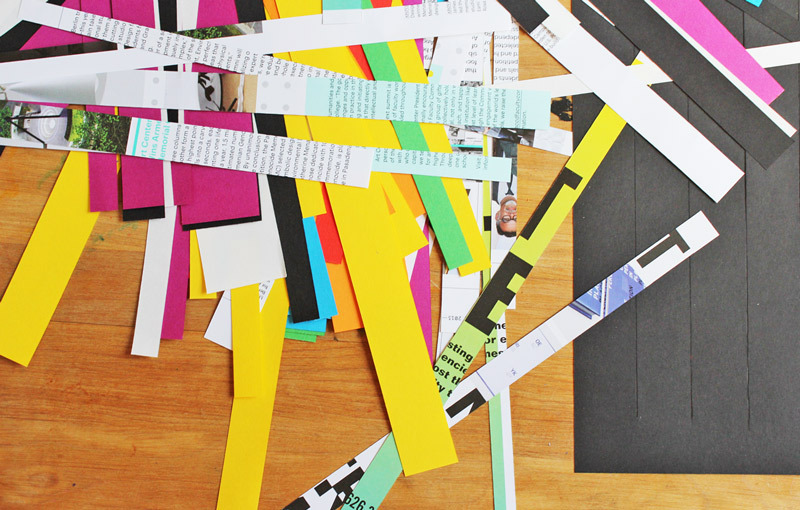 Give your child the base and put out a collection of paper scraps. If this is their first time weaving you will need to walk them through the steps of pulling the paper over and under the slots. Make sure to pull the paper over and under alternate slots with each new layer to create a woven texture. Step Four Continue until the slots are filled. Step Five If desired trim edges of paper strips to match the paper base. That’s it! My four year old didn’t quite grasp the concept of alternating layers but still enjoyed pulling the paper through the slots. I’d love to hear a few more suggestions. 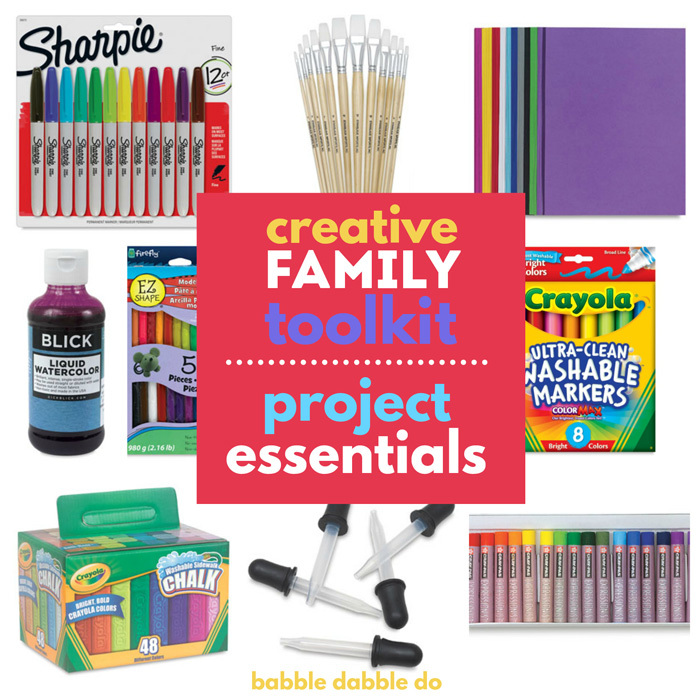 Post them on Babble Dabble Do’s FB page or leave a comment below! Josef Albers Josef Albers’ work was all about pattern, colors, and geometry. He was originally a painter but worked in the fields of design, education, and graphics, a true 20th century renaissance man! Homage to the Square is perhaps his most famous series of paintings; do a Google image search of his work and you will be inspired by the color and compositions! 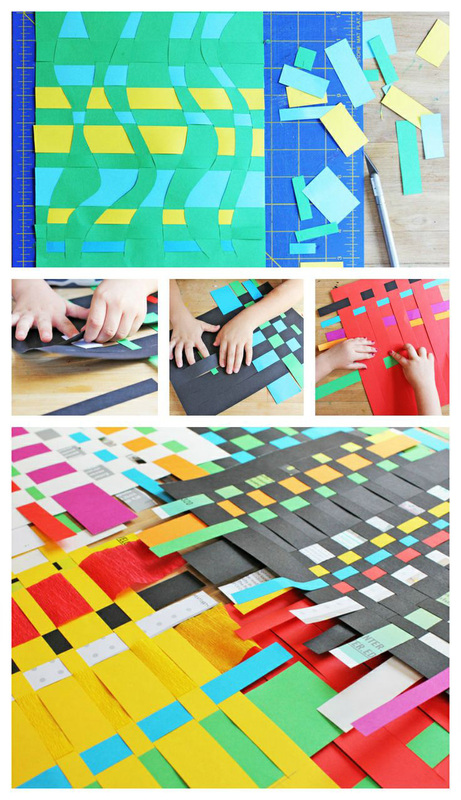 I remember loving paper weaving as a kid and I couldn’t let paper month pass by without revisiting this classic art project for kids. 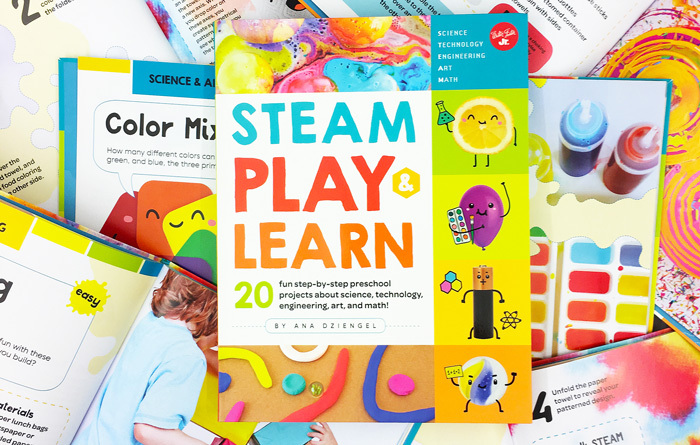 The bold graphic look is what appeals to me most and the combination of exploring composition and developing fine motor skills make this project a perfect one for kids of all ages and adults like me! If you liked this project be sure to check out other paper cutting projects here on Babble Dabble Do: Paper Lace Mobile and Flower Power Wall Decals. We’ve got many more paper crafts in store for you this month so be sure to subscribe! Your child’s inner Josef Albers thanks you! If you enjoyed this post SHARE IT! Thanks! I love paper weaving too and all of yours came out so wonderfully! I think they would look great as one giant piece of wall art 🙂 I’ll be featuring this on The Crafty Crow! Oh Cassi, thank you! I love your website and I’m glad you liked the project! I happen to have coupla spare frames lying around, so the wall art option is looking really good! Your blog is seriously awesome! Thanks for this great idea! I added this one to our summer art bucket list! Thanks Lindsay! It’s a labor of love 😉 Thanks for including us in your lovely round-up! This is an interesting activity. I wonder if a simpler version can be tried out with 3 year olds? My daughter as three when we did this. 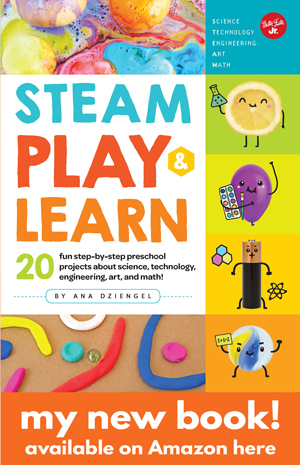 It’s a fun fine motor activity!